kartist, it gives the size as 3.94 inches wide by 3.94 inches high. I checked the "C" and it is 2.77 wide by 2.00 high. I bought this design, and I am having trouble getting it to download, will it fit in a 4 X 4 hoop? 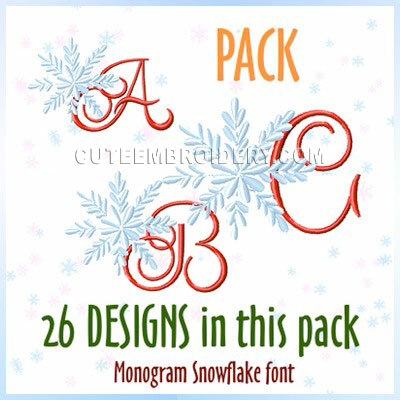 I really like snow and snowflakes so snowflakes with monograms offer lots of possibilities.